This is my first post, and I thought I would share some things that I find interesting circumnavigating around the theme of... wait for it... breakfast foods! Yay! 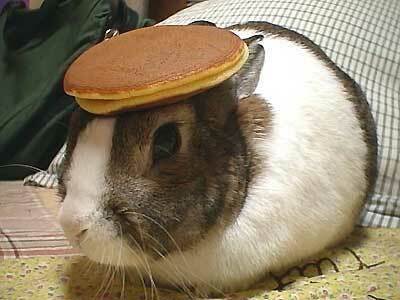 Mmm, breakfast. Most important word of the day. Here we have a waffle ring! It looks delicious, doesn't it? I got this image off of zoodisk.com. 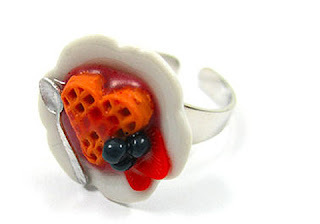 And did you know the breakfast style goes past jewelry? 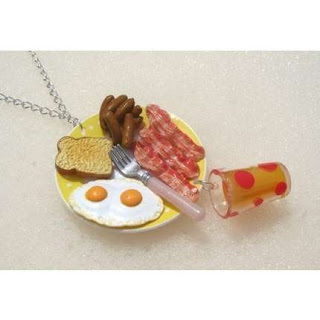 A new look at breakfast on the go. 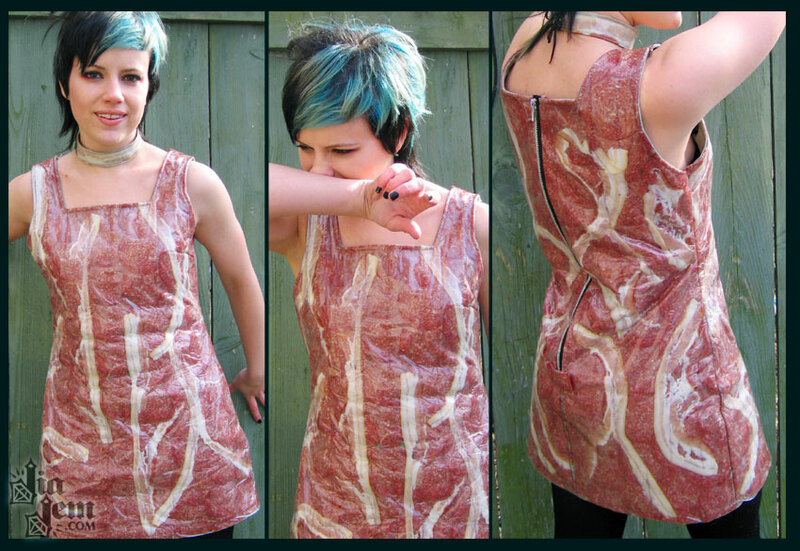 Here I can only imagine that the place to wear this would be during a slaughterhouse photo shoot, but I'm not judging. 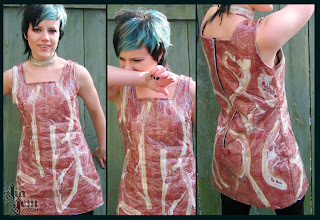 Or, maybe I am, because that dress is made from real bacon. I wouldn’t want to sit down anywhere, or be around dogs, or go outside, um, ever. 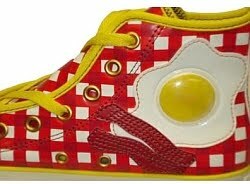 Whatever the instance, it seems our post-postmodern attitudes have spawns some delicious morning meal wear.